The Spokesgroup has helped thousands of citizens make a connection with thousands of children and their families. It IS all about community…about giving something back. We invite you to participate. Ultimately, it is YOU who receives the greatest reward. Our mission is simply to put underprivileged young people in our community on bikes!Your generosity will surely put a smile on a youngster…and a youngster on a bike. 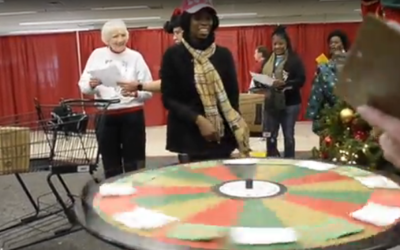 We work closely with the Salvation Army of Charlotte and the Annual Christmas Bureau. 100 cents of EVERY dollar ever raised by the Spokesgroup has purchased bikes and helmets. 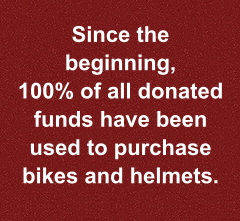 You can donate with confidence that you gift will be used for bikes and helmets. 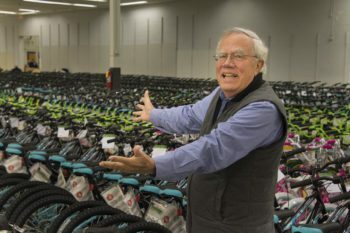 In 2018 The Spokesgroup donated 3,350 bikes….49,100 since 1994! Each gift of $75 enables us to buy a brand new high quality bicycle and a helmet. Donations come from individuals, companies and organizations through the Charlotte region..
We need all the help we can get…..for the kids. More Bucks = More Bikes. You can make a secure donation with your Paypal account or major credit card. This is a quick and easy way for you or your organization to help us put a youngster on a bike this year by making an online donation. We are using PAYPAL but you are not required to have a PAYPAL account to proceed. These community minded folks have been putting kids on bikes since 2011. 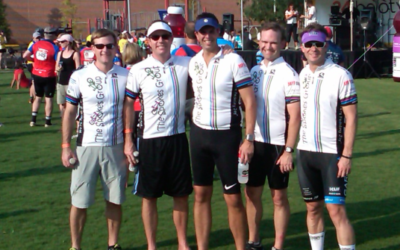 The Spokes Group is a 501(c)3 Non-Profit Organization, meaning your donation is tax deductible. It also accredited by the National BBB Wise Giving Alliance.